They know the secrets of the Underworld. The lands of the living hold no mysteries for them, nor do the realms of the Yama Kings. They are the Bone Flowers, and they know everything about you, too. But now you have the chance to learn everything about them. 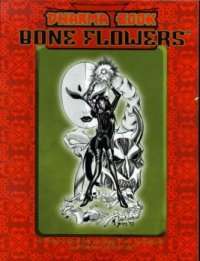 Dharma Book: Bone Flowers is the second Dharma Book for Kindred of the East™. It contains all of the hidden knowledge of the Song of the Shadow, from rituals and rites to secret agendas regarding the other dharmas. Once you have glanced inside, you'll never listen to the Song of the Shadow the same way again.